Junk yard adventure last weekend was a success. Got everything buttoned up tonight. Happy with final outcome. Living the 3G dream. Glad to hear you got it installed. Anybody ... how are those pulleys pulled off the shaft? How do you hold them to tighten the nut? The armature shaft has reduced diameter threads, the sheave sits on the step in the shaft and the nut holds to the shaft so they are not a press fit. Use of and Impact wrench is required to remove and install the nut I have not found any other way to hold the shaft wile removing or replacing the nut. This is for wiring references, your '79 uses the same wiring colors. 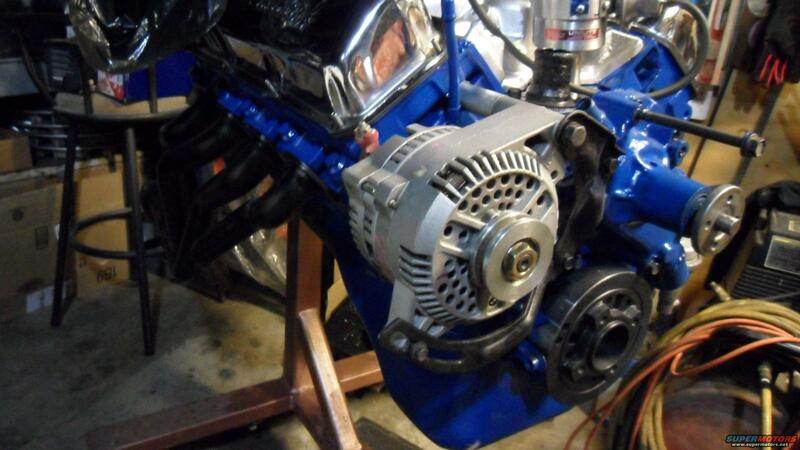 You need to remove the 3G's 6 rib pulley and install a "V" belt pulley for the alternator to work on your Ranchero(unless you modify the harmonic balancer pulley sheave that turns the alternator, to a 6 rib sheave like I did ). The alternator I used on my '79 was from a '93 Taurus w/3.0 OHV, it was clocked correctly to easily fit my BBF, remanned Lester part number 7765. I have yet to see a 3G come with a single and/or double "V" pulley sheave, only multi-rib pulley. That's because, starting with the 2G (think '86-and-up Crown Vic/Grand Marquis), nearly all alternator installs across the Ford lineup had multi-rib/serpentine setups. 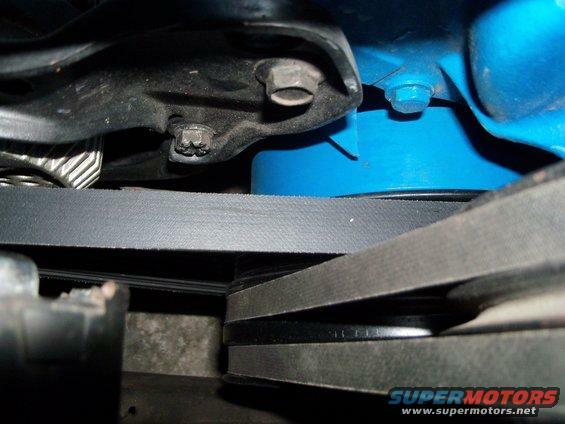 Since my Grand Marquis bracketry stayed with the 351W, I wouldn't have to change to a dual-belt pulley. Yep, I was just referring to the fact that, Rancheromac, will need to change the 3G's pulley(unless he has a later model SBF installed that uses a serpentine belt) to a V belt sheave, since every 3G alternator produced utilized a multi-rib belt sheave. BTW, Rancheromac, the pulley swap is easy and straight forward. Some V belt pulley's have a built-in spacer on the rear of the pulley, another type will need a separate spacer to clear the front of the 3G's housing. 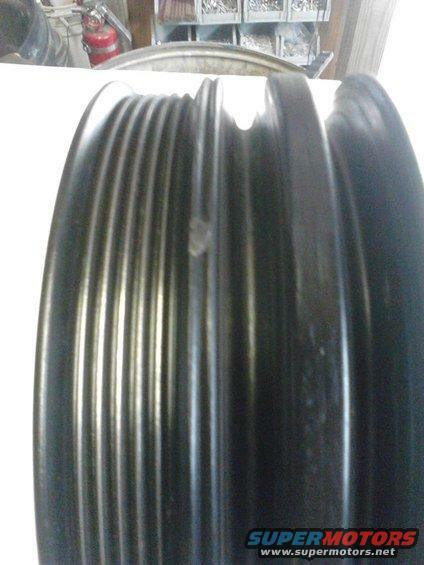 You will need to find the appropriate pulley and/or spacer to fit your application. Good luck. Thanks for info, I should have mentioned this is a 460. I think that's what aquartlow is running? I think I remember the post was from A dude across the pond. Framosco??? Yes, I am running a big block. The '93 Taurus alternator is almost a direct bolt-in, it has been a while since I went with my 3G ,but IIRC I didn't have to modify the alternator brackets at all(though I did have to mess with the alternator spacer size a bit). I did modify my 460's crank pulley to end belt slippage issues by removing the alternator single "V" sheave and installing/welding a 6 rib sheave in it's place. Fits perfect on C engine as well.Mid 90s Taurus 3.0 donor with harness. I've never heard of this filter being needed. Is that recommended in the MSD instructions? Makes sense to me, and the cost seems to be well worth it. I have a 6A that I bought maybe ten years ago, nothing in the lit that came with it about needing a filter. And I suspect that fomoco8 meant to connect it from the power input of the MSD to a nearby ground -- series does not make sense to me. I would bet that any MSD ignition box already has spike protection on the power input. I have a schematic of one here somewhere, I'll see if I can find it. As the MSD should be connected directly to the battery (per instructions) it would be very hard for the alternator to create a voltage spike large enough to harm it. I don't even know where the spike would come from. 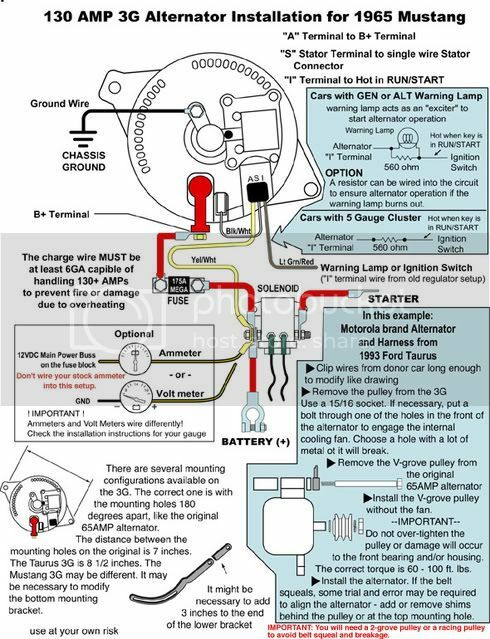 The regulator forces back EMF into the alternator, not the system. A relay type regulator can allow some back EMF to arc across the contacts, but if the battery were unable to sink it other items (like the radio) would be damaged. MSD systems run in many cars with high amp alternators with no problems. I have one vehicle with a 160Amp alternator, and another with a 200Amp, and have no problems with the MSD. Edit: ** ... after some thought, it's possible he is talking about an inductor as a filter, in which case series would be correct. Still doubt that it is necessary. looks like this special regulator allows the use of the factory wiring and ammeter gauge while using a 3g alternator. I picked up a used 3G from a Mustang. Craigslist, bare alternator only. This thread has been a big help but I do have a couple of questions. Going to order it later this week after I can make a deposit in the bank so I have the funds to pay for it. This is going on a 72 351C. Anyone have any issues with that install as far as brackets or interference? Since this is my daily driver anything I can find out about ahead of time really helps. Don't want to get half way into the install and find out I can't finish it that day. Also, can/should the 2 groove V belt pulley be used? The same seller with the wiring kit also sells the 2 groove V belt pulley, but lists it as fitting the 1G and 2 G only. Not sure if I need the 2 groove, car has power steering and air conditioning. I would like to convert to serpentine, but that isn't possible for the forseeable future. Honestly, I don't remember right now which pulley the car has currently. Been too busy working on other stuff to notice. I just decided yesterday to return the 100 amp external reg. 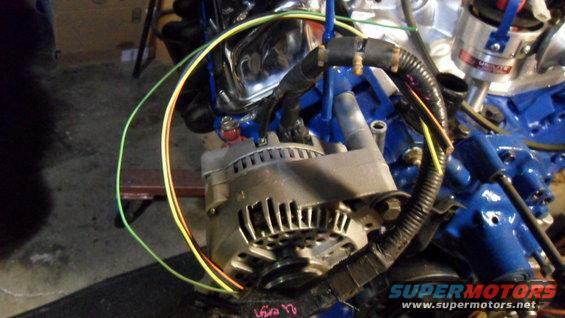 alternator I had bought and go this route. Figure if I am going to the effort of changing the alt anyway, might as well do it right. That alternator did have the 2 groove V belt pulley.